In 2010, David Cameron made a promise to parents that he would deliver smaller class sizes in smaller schools. In reality the number of infants in large classes over 30 has soared by 200 per cent since the last election, affecting up to nearly 100,000 young children and there are now five times the number of primary schools with over 800 pupils. 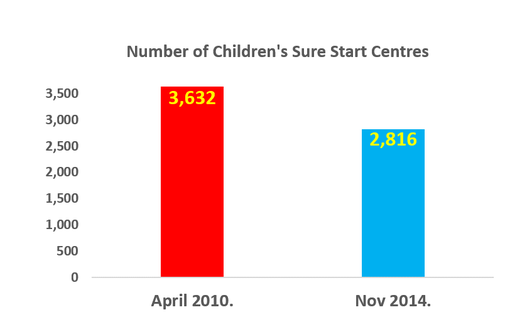 This is coupled with the fact that Sure Start Centres have been closing at a dramatic rate over the past four years. In April 2010 there were 3632 but this had fallen to 2816 by Nov 2014. Sure Start Centres not only benefit children with early education and confidence in social settings but they can be a lifeline to parents who may have given up work to look after their children and now find themselves isolated as their circle of friends are working. Southport Labour’s General Election candidate Liz Savage stated “As a teacher I know the effect that large class sizes have on children’s education and on the workload of teachers. The Lib Dems and Tories are failing our children and adding to the stress of teachers.